After a year of music conferences, character assassination attempts, hurt from lost ones, and more…. 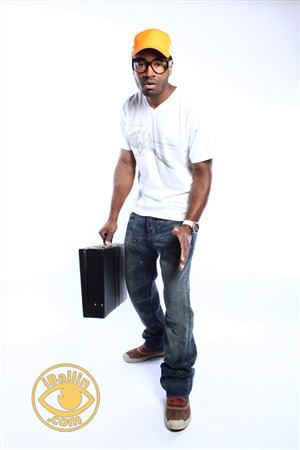 Amp Teez – Billfold Entertainment stands as a recording artist, certified, self employed, dream chaser. Heavy wit rap groups, touring and other events, has led up to what’s next. What’s next? Amp Teez - Billfold Entertainment feels “Its Time”, time for his debut solo project. “GOING GREEN”….. Cincinnati bred a product of hip-hop music, influenced by the best, chart-topping and any other artists with the drive to make it from the underground world of mixtapes to becoming Oscar and Grammy winners. But influences are just what they are, influences. “I consider myself to be an original artist with my own style of hit making. As the producer for Billfold Entertainment, my outstandish creativity shown in my music is the pivot of Frenzy Beats, which feeds the hunger of Billfold Entertainment. I myself, besides being a recording engineer, a producer, and a strong business hand, rep Cincinnati with ah swag like no other. Along with the rest of the Billfold Entertainment family, we continue to brand the pavement throughout the city streets and across the states.” Representing “Real Artist, Real People, Real Results”. Established late 2005, Billfold Entertainment is the future of what began with sticks to a drum, from tapping out beats to spitting out rhymes…. And it doesn’t stop here…. !